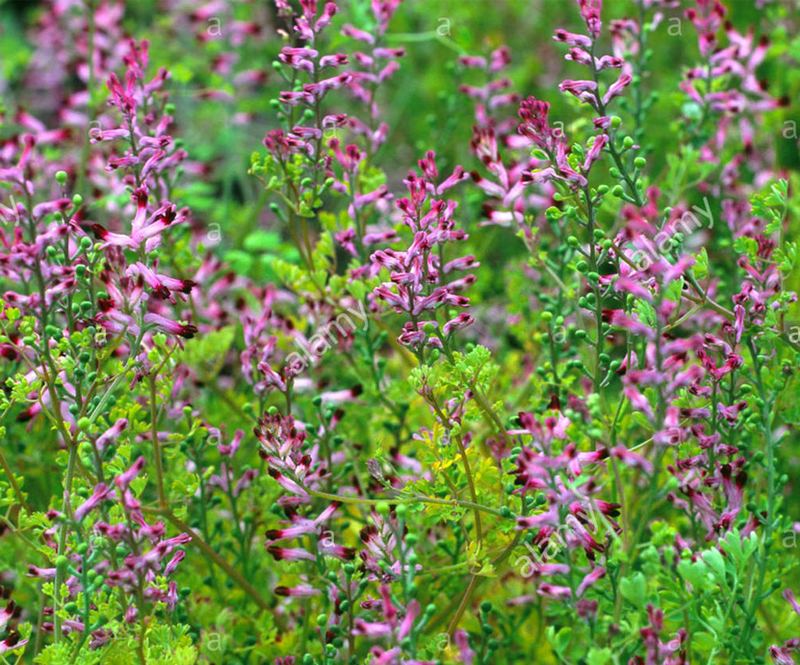 Fumitory is an annual, glaucous plant, with a sub-erect, much branched, spreading, leafy and angular stem, growing from ten to fifteen inches high. The leaves are mostly alternate. Culpepper, who knew the plant which is now used, better than anybody else, said that “at the top of the branches stand many small flowers, as it were in a long spike one above another, made like little birds, of a reddish purple color, with whitish bellies, after which come small round husks, containing small black seeds. The root is small, yellow, and not very long, and full of juice when it is young.” The fruit, or nut, is ovoid or globose, one-seeded or valveless. The seeds are crestless.